Yesterday’s Advisor presented an article by learning and development industry veteran Jo Eismont on how to ensure your organization’s culture makes it OK for employees to ask for help. Today we’ll go over more from Eismont on this important part of the learning process. Asking for Help Is OK—But Does Your Culture Reflect That? Do Your Best People Know Their Extra Value? 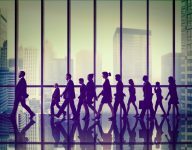 In yesterday’s Advisor, experts Rob Goffee and Gareth Jones presented tips to building an authentic organization from their book Why Should Anyone Work Here? What It Takes to Create an Authentic Organization (Harvard Business Review Press, November 2015). Today, Goffee and Jones emphasize the importance of injecting extra value into the workplace. To start off the week in the Training Daily Advisor, we present tips on building a better workplace in an article adapted from Why Should Anyone Work Here? What It Takes to Create an Authentic Organization (Harvard Business Review Press, November 2015) by Rob Goffee and Gareth Jones. 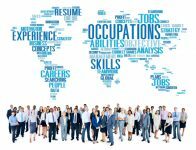 With training and development a high priority for top talent, different industries are finding ways to enhance their programs. Pacific Gas and Electric Company (PG&E) recognizes the importance of supporting workforce and economic development initiatives, employing veterans, and doing its part to close the so-called skills gap. 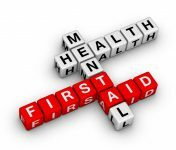 First-Aid Training … for Mental Health? In yesterday’s Advisor, Sonic Boom Wellness cofounder Bryan Van Noy provided the first three of his six reasons why cash is not as effective as a wellness incentive. Today, Van Noy provides his final three arguments against cash incentives, and provides a few alternatives for employers. Yesterday’s Advisor provided some holiday wellness tips to keep your employees happy, healthy, and safe during the chaotic weeks of the holiday season. Today, we share a few more tips for our readers.